It’s old news that overweight and obesity are major health issues facing our nation. “Overweight” is defined as having a body-mass index (BMI) of 25 to 29.9, and obesity is defined as having a BMI of 30 or higher. There’s even an extreme obesity category, categorized as having a BMI of 40 or higher. • More than 2 in 3 adults are considered to be overweight or obese. • More than 1 in 3 adults are considered to be obese. • More than 1 in 20 adults is considered to have extreme obesity. • About one-third of children and adolescents ages 6 to 19 are considered to be overweight or obese. • More than 1 in 6 children and adolescents ages 6 to 19 are considered to be obese. Treating overweight and obesity is challenging, both for the person and for his or her health-care team. For many people who struggle with their weight, being told to “eat less” and “exercise more” doesn’t cut it. They’ve been there and done that. More and more research indicates that lifestyle interventions and behavioral modifications, while effective for some, aren’t enough to help many people lose a meaningful amount of weight — and keep it off. Gastric bands. Sometimes called “Lap Bands,” gastric bands are, well, bands that are surgically implanted around the upper part of the stomach. The band creates a small pouch that holds food. The band limits the amount of food that you eat by making you feel full. The band can be adjusted to make the pouch larger or smaller. Who it’s for: Gastric bands may be suitable for people who have BMI of 40 or higher, or a BMI of 35 or higher and a serious medical condition, such as Type 2 diabetes, heart disease, or sleep apnea. Risks: Possible risks and side effects include gastritis (irritation of the stomach lining), infection, injury to internal organs, scarring (which could lead to an intestinal blockage), poor nutrition, blood clots, vomiting, and problems during the procedure. Gastric balloon. This is a temporary device that includes one or two balloons that fill space in the stomach. They’re placed using an endoscope (a long, flexible tube with a small camera and light at the end). Then they’re filled with salt water (saline) and sealed. Balloons should be removed after six months. Who it’s for: The balloon is intended for adults 18 and older with a BMI of 30 to 40. It’s not recommended for certain people, including those who have inflammatory bowel disease, a large hiatal hernia, active H. pylori infection, symptoms of delayed stomach emptying, or who have had previous gastrointestinal or bariatric surgery. Risks: Possible risks and side effects include punctured esophagus, stomach blockage, cramps, nausea, and bloating (likely temporary). Electrical stimulation system. Approved in 2015, this system is the “first weight-loss treatment device that targets the nerve pathway between the brain and the stomach that controls feelings of hunger and fullness.” It’s surgically implanted into the abdomen and includes electrodes, wire leads, and a rechargeable electrical pulse generator that delivers electrical signals to the electrodes. External controllers let the person charge the device; the health-care provider adjusts the settings. The process of electric stimulation is understood, but specific reasons for why this helps with weight loss are unknown. Who it’s for: The system is approved for adults age 18 and older who have not been able to lose weight with a weight-loss program, and who have a body-mass index of 35 to 45 with at least one other obesity-related condition, such as Type 2 diabetes. Risks: Possible risks and side effects include nausea, pain at the neuroregulator site, vomiting, heartburn, problems swallowing, belching, chest pain, and surgical complications. Gastric emptying system. This device was recently approved and includes a tube placed in the stomach via an endoscope and a port that lies against the skin of the abdomen. It’s used to drain a portion of the stomach contents into a receptacle 20 to 30 minutes after meals. It must be shortened by a health-care provider as the person loses weight (and girth) so the port continues to lie against the skin. The person must thoroughly chew all food, among other lifestyle changes, and may have the device removed when he reaches his target weight. 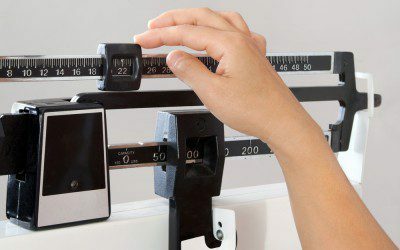 For more information, visit http://www.aspirebariatrics.com/about-the-aspireassist/. Who it’s for: This device is for adults age 22 or older with a BMI from 35 to 55 who have been unable to lose weight or maintain weight loss through diet and exercise. It’s not for people who have conditions including eating disorders, certain types of abdominal surgeries, anemia, certain physical or mental disabilities, cirrhosis, or severe chronic kidney disease. Risks: Possible risks and side effects include infection, abdominal pain, nausea, vomiting, indigestion, diarrhea, and bleeding. Electrolyte imbalance may occur from aspiration. These devices are intended to help people who are obese and for whom other approaches have been unsuccessful. Weight loss amounts vary and aren’t guaranteed. While they can be helpful, these devices are not quick fixes, and they all carry certain risks. In addition, insurance coverage may vary; you might expect to pay out of pocket, in some instances. If you think any of these types of devices might be a good choice for you, talk with your doctor. And don’t forget that lifestyle changes are still a key part of losing weight and keeping it off. Diabetes causes financial difficulties that the Affordable Care Act can’t alleviate, Amy Mercer has found. Bookmark DiabetesSelfManagement.com and tune in tomorrow to learn more.